Kurt, can you tell us about the style of your newest premiere for FBP? My style of movement has always been rooted in the use of momentum, weight, gravity and risk taking. I am fascinated by crafting and creating patterns that manipulate the space to create different visual textures. I pushed the dancers to explore their use of falling into the floor. This idea is not always utilized in ballet dancing so it was a challenge. I enjoy introducing and trying different ideas that may not always work. I believe trying many different options until I find the one that flows and make sense. My new work is called “Sojourn” and I am truly proud of what the dancers and I have created together. Tell us about the beautiful music the dancers will be reacting to. Did you find the music before you began working on the movement? Yes! I have been wanting to work with this piece of music for a while now. The minimalist style of music inspires me and allows my imagination to soar in a multitude of different directions. The music is truly magical. It really is. So once you have the music, where do you find inspiration? I find inspiration from many different places. I am particularly inspired by the environments I come in contact with and the diversity of different people around me. I love the outdoors and the unpredictability of nature. The dancers bring inspiration to me by just bringing their vulnerability into the rehearsal process. I love how you keep mentioning this partnership between you and the dancers in the creation process. What has the experience been like? The dancers at FBP are truly stellar artists in every way. The community here at FBP is super supportive in and out of the studio. The energy in a room is incredibly important during my creative process. The dancers bring their A game every time we work together, and for that I am truly grateful to them. That’s so inspiring. Hopefully the audience can feel that as well! How do you think the Providence audiences will respond to this piece? I think the Providence audiences will enjoy watching the beautiful dancers of FBP move in a contemporary way. They will enjoy the opportunity to get lost in the beautiful score and of the intricate visual patterns that the dancers create. The dancers truly make this piece their own and tell their own stories through the movement. I think that anyone who comes to see Up Close on Hope: Program 1 will not be disappointed. This is an entire program of premieres! How do you think people will react to seeing Sojourn in the Black Box Theatre? 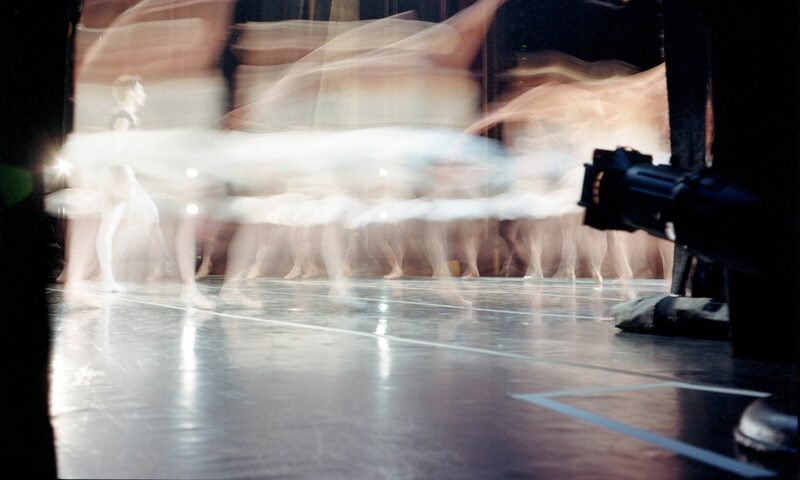 The audience will accompany the dancers as they journey a from one unknown place to another. I hope that after seeing this work in the Black Box Theatre the audience’s imaginations will be sparked in a new and creative way. Hopefully they will reflect and celebrate their own journey’s after experiencing the work. Up Close really is a special kind of performance, isn’t it? Does the Black Box present any challenges or unique opportunities choreographically? One aspect about making a work in the Black Box Theatre is the intimacy of the space. The relationship between the dancers and the audience is special because the audience sits extremely close to the action happening on stage. To see Sojourn and the rest of the premieres at Up Close On Hope, click here for tickets.